Oh, what a weekend. Our house was hit hard with the flu. Happy first day of Spring, right? I was actually hoping to finish this Spiderman quilt on Saturday but that didn't happen. 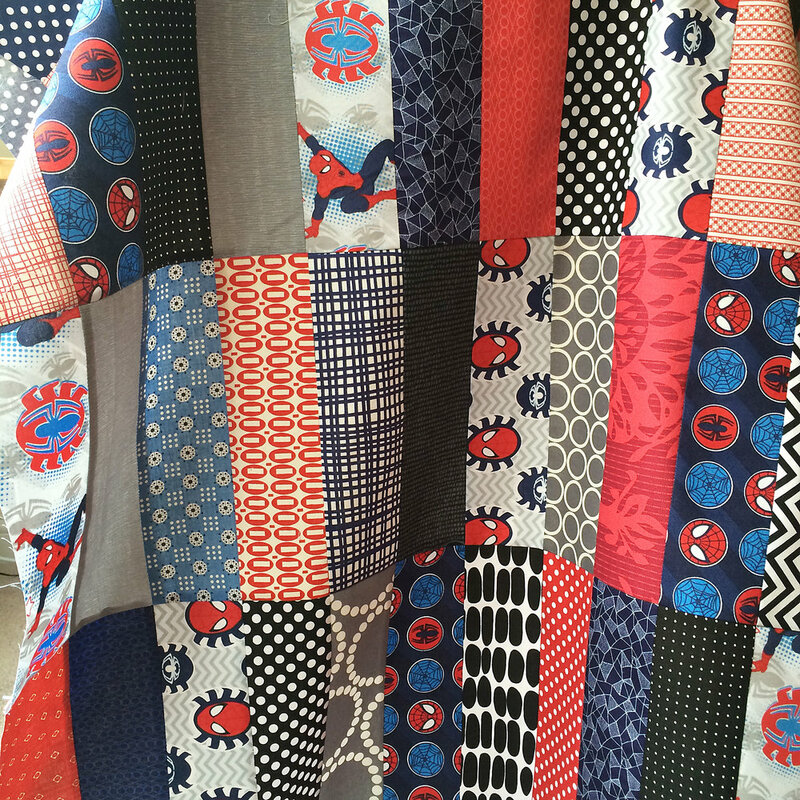 These Spiderman prints are by Camelot Fabrics. You can find them at Fat Quarter Shop and Harts Fabric. I tried to pick prints that I could see being combined with modern fabrics from my stash. I do have the top all sewn together and the minky all set for the back. I'm using the same pattern as my son's Aye Aye Captain quilt. It's a great simple layout for showcasing a variety of prints and colors. Fingers crossed I am able to baste it and get quilting today!